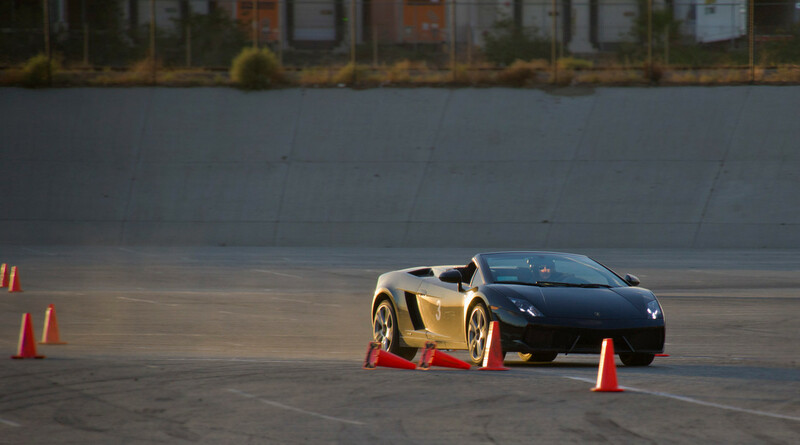 Imagine Lifestyles will be back in Socal Thanksgiving weekend (November 29th) doing another Exotic car autox(ish) event. We are looking for a few more instructors to help with the event. This is a paid position. In the past this was staffed with mostly (90%) of our local autox crew, so we always had a good time. While it is 'work', it's a fun event and having the opportunity to drive one of these exotics is an awesome deal in itself. Read below for further explanation from Perry, and if you're interested, email him directly at autox4u@gmail.com with the subject LA INSTRUCTORS. If you have questions, feel free to PM me. I’m writing to offer a unique opportunity to spend a weekend with a half-dozen exotic cars, mainly Ferraris and Lamborghinis. I am also looking for non-instructors for the weekend to help with the check-in area. Have a friend, spouse or sibling, they must be 18. Non-Instructors will receive $100 per day. My name is Perry Aidelbaum, owner of AutoX4u.com, head of the Northern New Jersey SCCA Solo program (host of the NJ Pro in 2011, 2013 and 2013 and Northeast Divisionals in 2012). I’m working with Imagine Lifestyles (http://www.imaginelifestyles.com" onclick="window.open(this.href);return false;) to put on the best supercar experience possible, utilizing a fast, flowing autocross-style course which I design. We’re going to be in your area at (Santa Anita Park) on (November 29), and we’re in need of qualified instructors to help run the event. 1. Safety First – make sure the customer doesn't hurt themselves, other customers, or the cars. 2. Have Fun – ensure that the customer is comfortable and enjoys their time with Imagine Lifestyles and with the cars, and feels that they got a good value for their dollar. 3. Teach a Little – basic safety/hand and seat position, basics of getting around the course by looking ahead, positive reinforcement, and maybe some car dynamics talk. Most importantly they cannot go wide open throttle until the wheel is straight. Some of the non-instruction duties include helping customers in and out of the cars, talking to them before they get into the cars, and keeping the course moving (grid, pit in, cones) – though working the course is far less strenuous than a local event, as we use bikes to get around quicker or my rental car. Here’s a video of a typical in-car experience, and what you can expect from our courses and what we hope you can do while instructing:http://youtu.be/aYhyMGIxE7oYou don’t have to be as detailed as this instructor, but customers love seeing hand signals. Imagine Lifestyles is a very professional organization designed around giving the customer the ultimate in their high-end experience. Safety is of the utmost importance, and you will not encounter any of the hijinks that have gotten other exotic car companies in the news. Instructors are paid $150 per day, with lunch, drinks and company shirt and hat supplied by Imagine Lifestyles. Additionally, there is an opportunity to drive the cars as customers can pay for Pro-Drives. The guys at Imagine Lifestyles understand that the primary reason you may be interested in coming out for the event is the opportunity to drive, so they have made some changes to encourage more passenger rides. We will work to get as many as possible within the confines of the event. If you are not local, you will have to provide your own accommodations. 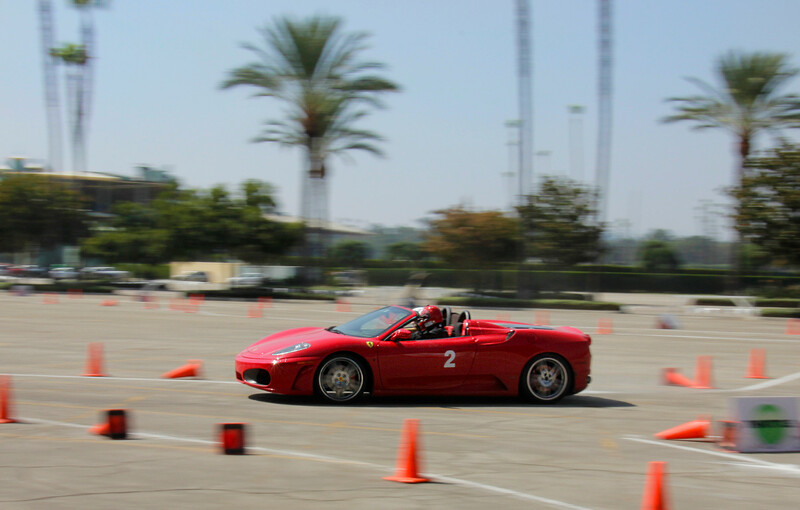 If you are interested, please email me directly at autox4u@gmail.com, with the subject “(LA)"Instructors, and let me know your availability, qualifications/Instructor experience. We’ve hosted events in Boston, San Francisco, LA, Seattle, Chicago, and Washington D.C. already with a lot of success and everyone had a lot of fun. Come on out for the chance to spend some quality time with the types of cars you had on your wall as a kid. If Tom is having fun! I wonder how experienced of an instructor they are looking for... this looks like fun. I can help that weekend. I can also help out that weekend as an Instructor or as a general hand. Either way it looks like fun. I'll shoot Perry an email.